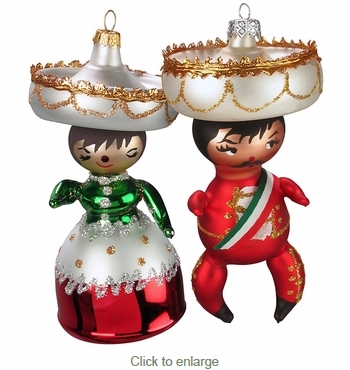 Add some traditional Mexican spice to your Christmas tree and holiday decor with our mariachi man glass ornaments. These colorful southwest ornaments also make a great gift this holiday season. All of our authentic mariachi glass ornaments are handcrafted by talented glass artists in Mexico.